Meghan has passion for helping children and families. She serves as a Guardian ad Litem for children as they navigate through the court system. Through her work as an adoption lawyer, she is able to see families brought together, and begin a new journey together. Meghan handles step-parent adoptions, grandparent adoptions, infant adoptions, as well as helping foster parents give a forever home to their foster children. Meghan graduated with a degree in Political Science from Emory & Henry, where she was active in Pi Sigma Alpha, Cardinal Key, and Pi Gamma Mu. While studying at Emory & Henry she completed an Honor Thesis titled, The Front-Loading Problem in American Presidential Elections. 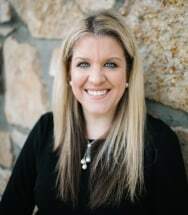 After graduating from Emory & Henry, Meghan received her Juris Doctorate from Cumberland School of Law, Samford University in Birmingham, Alabama. During her time there, she held prestigious internships with the Alabama Attorney General's Office and the Tennessee Supreme Court. Following graduation, she served as law clerk to the Honorable James P. Smith in Huntsville, Alabama before moving to Knoxville, Tennessee. Meghan is currently licensed in Tennessee and Alabama.